Are you moving into a new home and need new AC systems installed? Perhaps your old one is already due for replacement? If so, we have great news for you. Over the years, air-conditioning technology has evolved and there are now Energy Star qualified models that can help reduce your energy bills anywhere from 30 to 50%. Of course, you need to work with qualified and licensed AC installers in Florida to ensure that you’re getting the best kind of products and services. At Eggert Cooling & Heating Solutions, we will recommend the best brands and types of air-conditioners that would be best for the structure of your home or commercial building. 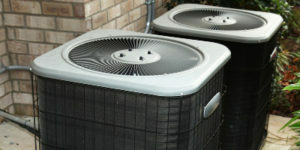 We will make sure you’re getting the best quality AC systems without hurting your budget. Our team of experts is experienced in all things AC and heaters. From the time that you’re still choosing the type of air conditioner you need for your property to the installation, maintenance, and in case you need repairs in the future, we will be with you all throughout. We give utmost importance to the satisfaction of our clients and we will only consider our job done when we know for sure that you’re happy with our service. Eggert Cooling & Heating Solutions offers the industry’s best new AC systems for your Florida home. Our team of experts will help find the perfect AC unit for every room in your home according to the room’s size and the cooling purpose. Our services are available in Orlando, Windermere, Apopka, Lake Mary, Maitland, and surrounding areas in the Central Florida area. Call us at 407-352-3785 for a free quote.